This week we’re celebrating the beautiful foods of Peru, a widely misunderstood cuisine here in the United States. When I searched for cookbooks I found that even Amazon had surprisingly little on the subject. So I turned to my Peruvian friend Nico who is the author and photographer of the beautiful blog Pisco Trail. Each day this week I will share a delicious recipe from his website in hopes to demystify the cuisine from his marvelous home country. We’re starting today with one of my favorite dishes found in many Latin countries, ceviche, a tender and refreshing dish where fish is “cooked” in citrus juices. 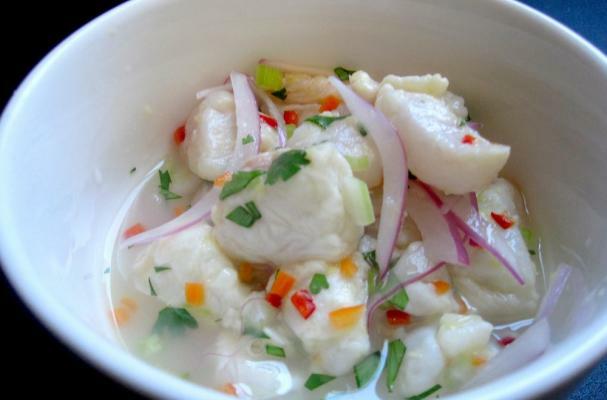 Read more on the history of ceviche (it dates back to the Incas!) and get his easy recipe here. Lastly, Foodista will be leading our first ever culinary tour this fall to Peru (and Nico is joining! ), so be sure to check out our wonderful itinerary here!